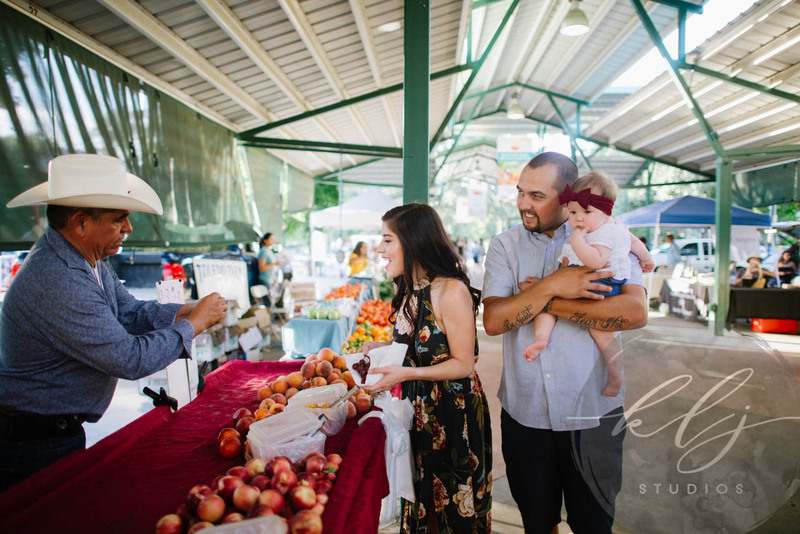 On the evening of Wedinesday, July 18th, 2018, KLJ Studios Photography captured a Lifestyle Family Portrait Session with Erica, Micheal, and Saylor at the Wednesday evening Davis Farmer’s Market in Davis, California. 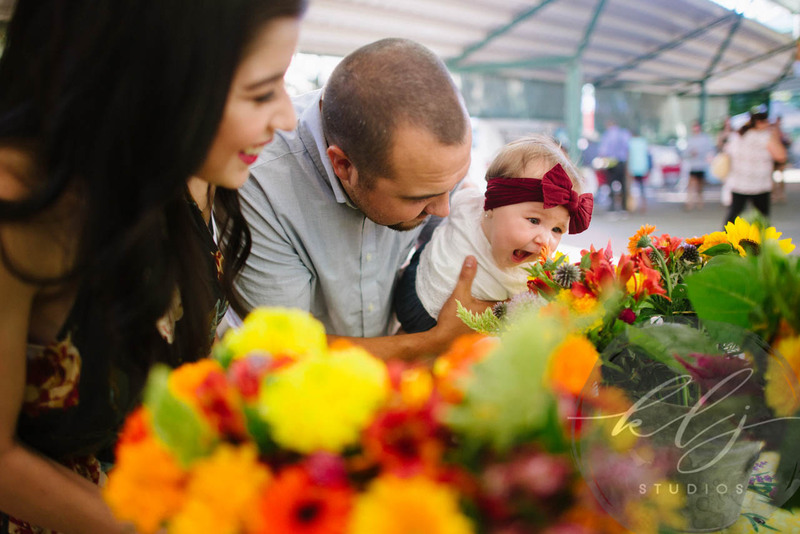 The Davis Farmer’s Market, being so full of life and color with all the incredible variety of fruits and veggies made the perfect backdrop for this Family Lifestyle Session. Erica, Micheal, and Saylor have been a part of the KLJ Studios family for some time and have previously been a part of an in-studio newborn session with Lead Photographer Kelly Lynn Jordan. 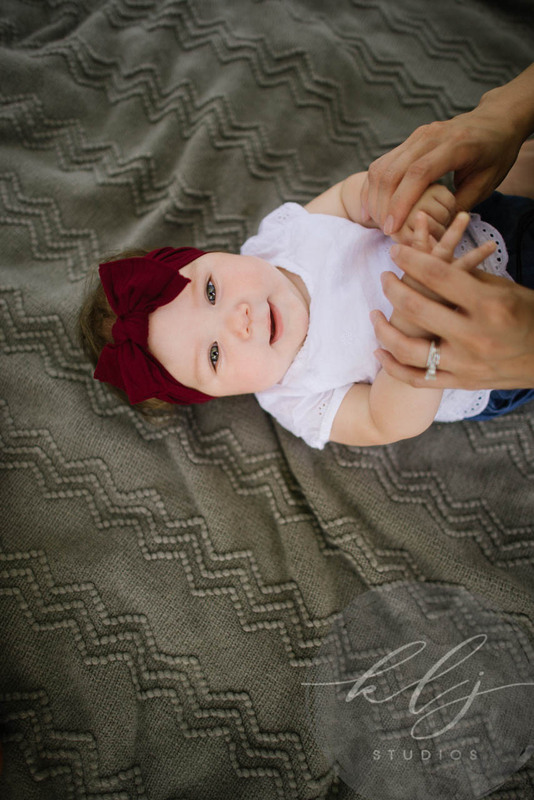 We are very excited to have this family back with us again for with our Lead Lifestyle Photographer Bethany Petrik. Aimee Wallace was the Second Shooter, and Veronica Pinzon is responsible for the picture-perfect makeup. 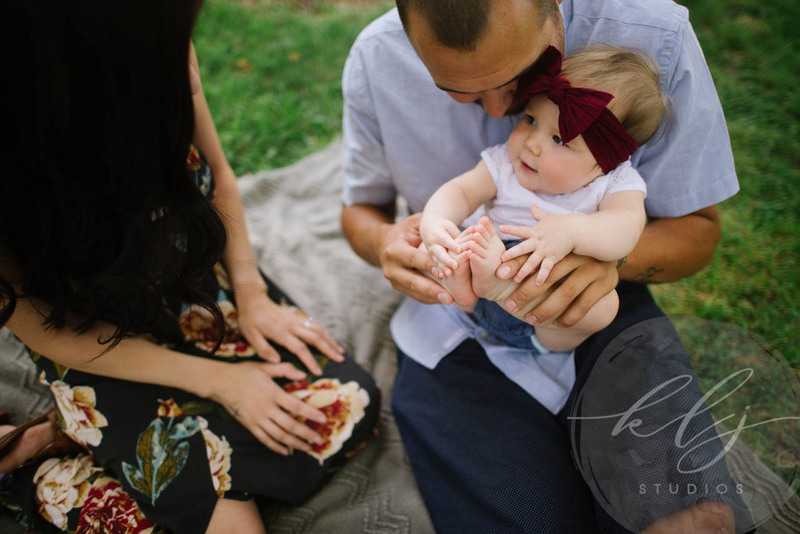 This is one very photogenic family; their pictures came together so seamlessly for this KLJ Studios Family Lifestyle Portrait Session, and we are certain that they will be the absolute perfect addition to their home, constantly reminding of how beautiful, rich, and complete their lives truly are. This family is one-of-a-kind amazing, and perfectly beautiful. During the session, Saylor tried farm-fresh peaches and grapes, yum! Not only did she eat yummy fruits, but she also tried to eat daddy’s nose. 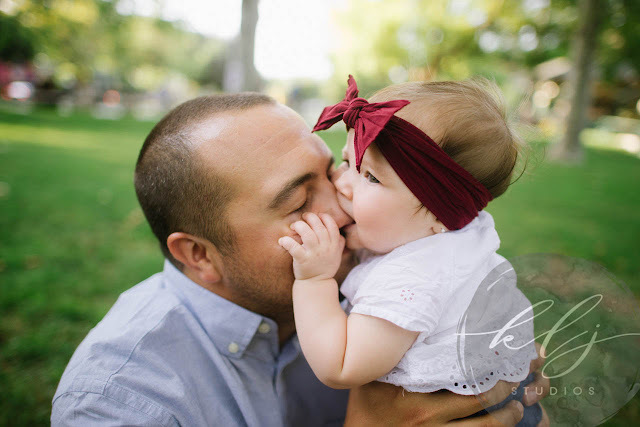 Eating daddy’s nose is Saylor’s favorite thing. A new thing that Saylor likes to do is blow raspberries (very appropriate fruit related activity). Saylor was absolutely enamored with a juggler at the Davis Farmer’s Market, and only wanted to pay attention to the juggling act taking place nearby. 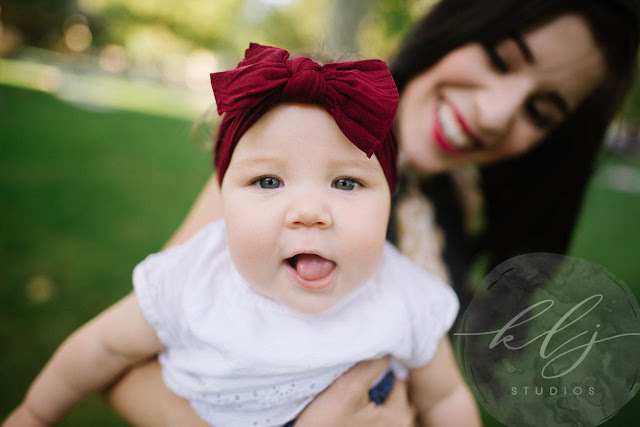 The entire family seemed to really enjoy the casual candid posing of the KLJ Studios Lifestyle Portrait Session and seemed to fit their very adventurous nature. They had never been to a Farmer’s Market, but they all had a blast! Thank you three for choosing KLJ Studios to take your Lifestyle Family Portraits.